Rumors hit a month or two ago that one actor on the set of The Walking Dead was unhappy since Frank Darabont had left the show, and that said actor wanted out of his contract. Could that actor be John Bernthal? 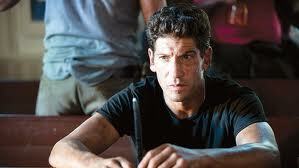 Bernthal of course plays Shane, and is apparently the front runner to play the lead in Darabont's new television show, L.A. Noir. This certainly doesn't confirm he is the actor who wanted out, but it makes it seem that way. If true, Shane could be exiting the show by the end of season 2!